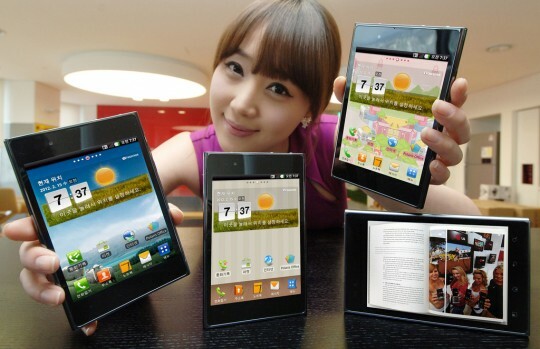 From MWC exhibition one week, but the LG has to wait to the next-generation flagship Android phone-LG Optimus Vu in Korea. Aircraft, the most prominent feature is the use of 5-inch 4:3 IPS screen resolution of 1024 × 768, and 650 nits and brightness, even in the fierce sunlight can still clearly display the image. Another selling point with the Galaxy Note The itself is equipped with a digital pen, notes, drawings or handwritten memos, and other user-friendly home. The Optimus Vu, Dimensions 139.6 x 90.4 x 8.5 mm, net weight of only 168g, slightly compact than the Galaxy Note. Its main specifications include a 1.5 GHz Qualcomm dual-core processor, 32GB built-in capacity of 8 million pixel lens, prepared by the Flash flash, 1.3-megapixel front camera and built-in 2,080 mAh battery. Also support WiFi Direct, DLNA and HDMI output. Is only available for the Android 2.3 system Optimus VS will be on sale in Korea in early March, Android Ice Cream Sandwich update has been promised to be launched in three months.